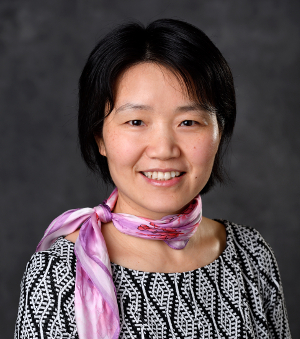 Dr. Xie completed her undergraduate work in Biology and her PhD in Reproductive Endocrinology at China Agricultural University, and conducted her postdoctoral work at Vanderbilt University Medical Center and Cincinnati Children’s Hospital Medical Center, in Reproductive Sciences. Dr. Xie was a key member of the transgenic facility at CCHMC that has successfully generated over a 100 animal lines by CRISPR/Cas editing. Dr. Xie heads the embryo manipulation program at MSU-TGEF. She is an expert in all reproductive biology techniques required for genome editing including embryo microinjection and electroporation. This along with her extensive experience with CRISRP/Cas editing, positions her to assist investigators with projects requiring genome editing of different complexity, and in a variety of model systems, from the design to animal generation stage. Her embryology experience is also instrumental in her ability to assist investigators interested in manipulation of embryos from non-mammalian species such as zebrafish and insects. Dr. Xie also runs the MSU-TGEF cryopreservation program and provides cryo-related consultation and services. Her current research and development efforts at MSU-TGEF focus on optimizing CRISRP/Cas efficiency in rodents, and pioneering non-rodent gene editing and embryo manipulation approaches.